What if you could take a picture looking in the same direction from 20,000 locations spaced evenly throughout a city? 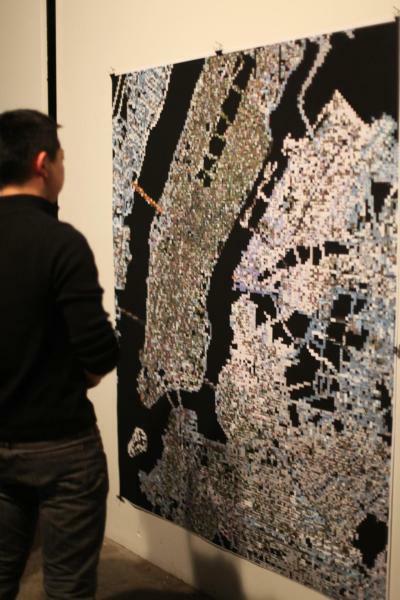 And what if you assembled those photos into a map of the city? With some code and some knowledge of how Google's Streetview backend works, you can. The project 18,154 Consistent and Regular Views of NYC does just that: the built and natural fauna of the city, and its high level structure emerge. Best viewed as a poster printout; the map would require 215 (yes two-hundred and fifteen) 1080p displays to view in full detail.